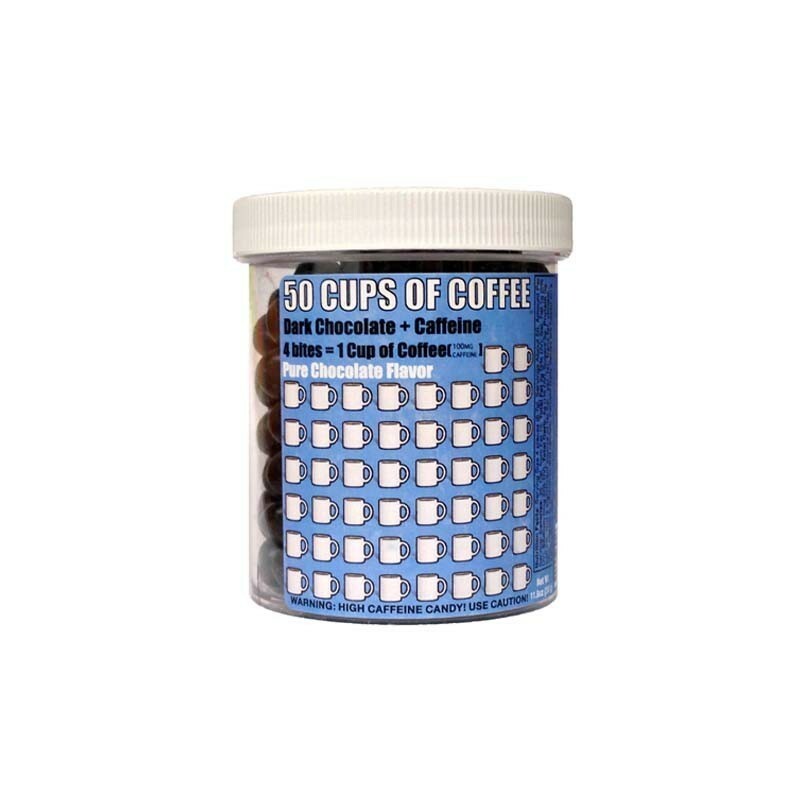 Delicious chocolate flavored chocolates packed into a tub... 50 cups of coffee worth! 4 of these chocolates have 100 mg of caffeine.. as much caffeine as a cup of coffee. Best ever for what it does! keeps me alert and appeals to my chocolate craving and reasonably priced..what can be better...well..actually..having them in stock when I need them!! is the secret out? Yummy & effective says it all. Dark chocolate flavor (similar to M&Ms). 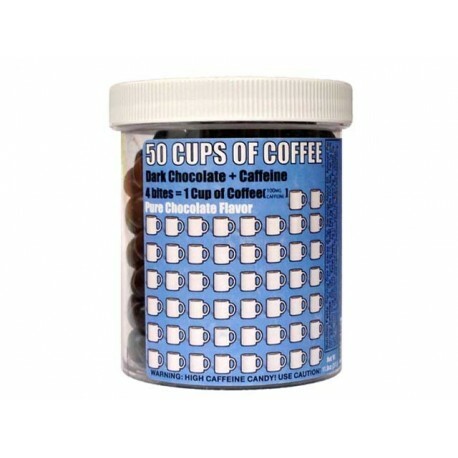 Also convenient that you can fine-tune the amount of caffeine by the # of candies you eat. Love these! Dark chocolate + caffeine = perfect combo. The candy coating holds up in a hot car while the chocolate gets deliciously soft. These are good and strong--you get a nice kick. I'll be reordering once my supply gets low.